Additionally we also updated the migration script to properly sanitize custom layer subdomains: in case you used custom basemaps with subdomains in v3.1.1, maps could partially be displayed in v4 due to this issue. 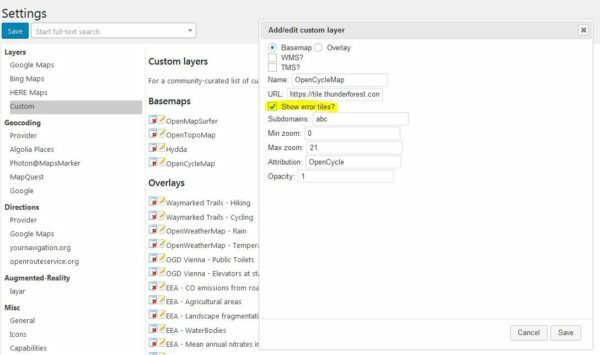 You do not need to re-run the migration though in this case – it is enough to change the value for “Subdomains” in the custom basemap configuration from e.g. a,b,c to abc. For futher changes and fixes please see the full changelog below. If you did not update from v3.1.1 to v4 yet, please see the release notes from v4.0 for installation instruction, migration tutorial and post installation tasks. If you still experience any issues, please submit a helpdesk ticket.